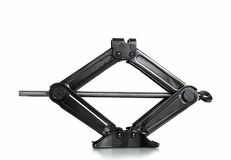 3,414 car jack stock images are available royalty-free. 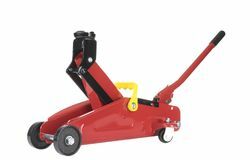 Hydraulic car jack. Isolated on white background Car Jack. Over the white background Lift the car by jack. 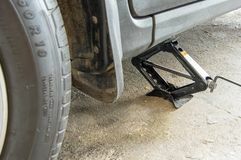 For change the wheel Car jack. On isolated white background Car on car jack. 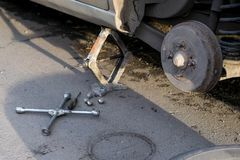 Detail of car on car jack with tire removed Car jack up for lifting wheels, auto repair. Lift the car by jack. For change the wheel Small dog looks out of the car window - jack russell terrier. 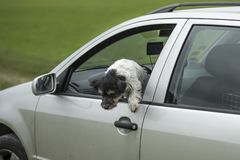 Small dog is sitting in a car and looking out of the car window - jack russell terrier 2 years old Car jack. 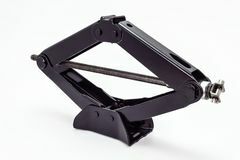 Isolated over white background Car jack. Dirty old car jack on wooden boards Car jack. 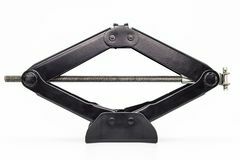 Isolated object on a white background Car jack. 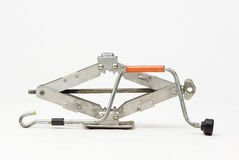 Isolated object on a white background Car jack. 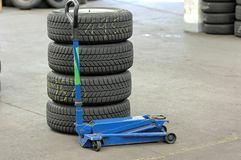 With four tires Car jack and wrench. 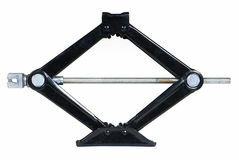 Photo of car jack and lug wrench Car jack isolated. 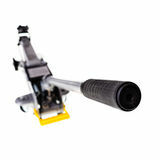 On white background Hydraulic car jack. On white Car lift jack isolated on white. 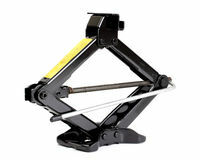 Image of car lift jack isolated on white Hydraulic car jack. 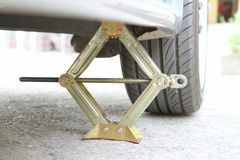 To lift car for change the wheel Car jack. Isolated on a white background Car jack. 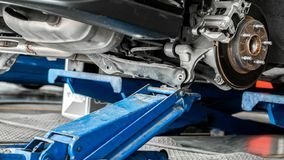 Lifting on white background Car sitting on jack stand. 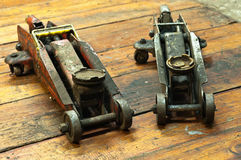 With front wheel removed Car wheel and jack isolated. On white Four tons Hydraulic Bottle Car Jack. On white background Car jack on white. Car jack isolated on white background, closeup Close up shot of old red car jack and removed wheel selective focus and shallow depth of field Mechanical car jack. Isolated on white background Old Car Jack. 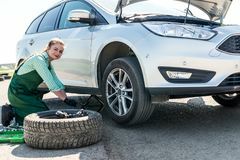 On white background Replacing wheels on a car, jack holds the body. 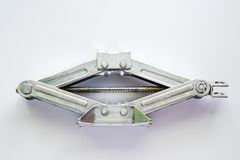 In the raised position Car jack object. 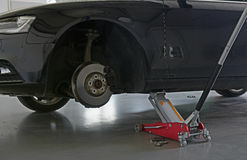 On white background Car with a jack to lift the rear wheel for brake repair. In the garage Car with a jack to lift the rear wheel for brake repair. In the garage Car jack. 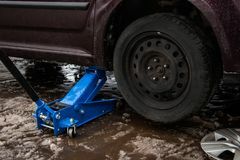 For lifting vehicle and replacing tire Car jack. 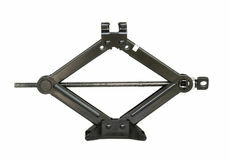 For lifting vehicle and replacing tire Auto mechanic looking under the car to install the jack. 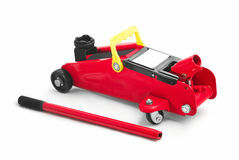 Garage, service, repair, fix Hydraulic car jack. 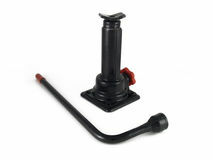 Isolated on white background Hydraulic car jack. 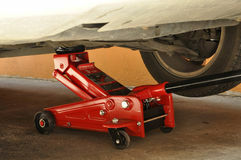 Isolated on white background Car jack to lifting the car for replace wheel and repair at garage Hydraulic car jack. 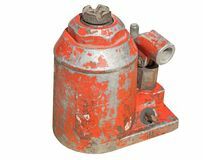 Isolated on white background Hydraulic car jack. Isolated on white background Broken Car Jack. 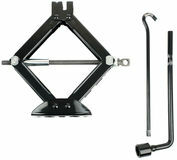 Black and white broken car jack Hydraulic car jack. Isolated on white background Winter tire fitting on the street. Wheel service, Tire repair, and changing summer to winter tires. Black car lifted on jack. 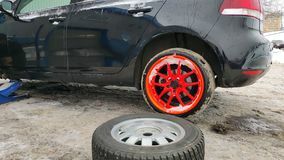 Summer tires in winter.Orange Car jack up for wheel changing or repairing Mechanic lifting up broken car with jack. 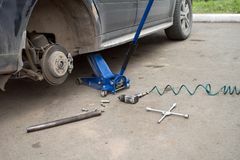 Car suspension service with HYDRAULIC FLOOR JACK in maintenance car garage and copy space, use for car suspension service content. Car suspension and car Small dog steers the car. 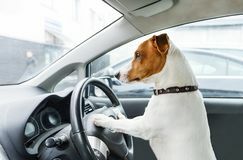 Jack Rassell terrier take wheel. 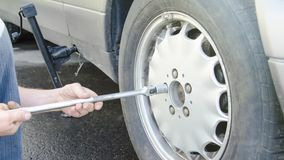 Closeup photo Replacing wheels on a car, jack holds the body in raised position. 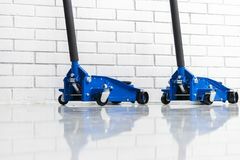 Breakage elimination Hydraulic car floor jacks isolated on white background. 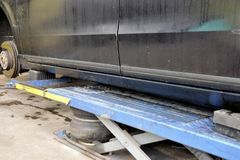 Car Lift. 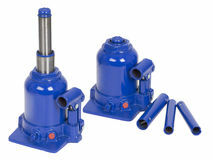 Blue Hydraulic Floor Jack For car Repairing. Extra safety measur. 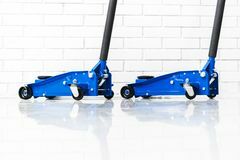 Es Hydraulic car floor jacks isolated on white background. 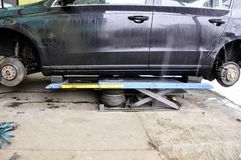 Car Lift. 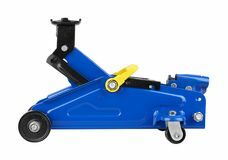 Blue Hydraulic Floor Jack For car Repairing. Extra safety measur. 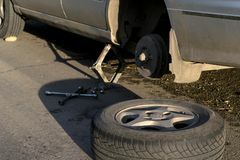 Es Man changes the wheel on the road, putting the car on the jack. 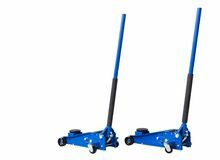 When traveling Hydraulic car floor jacks. Car Lift. 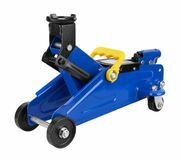 Blue Hydraulic Floor Jack For car Repairing. Extra safety measures. Car service station. 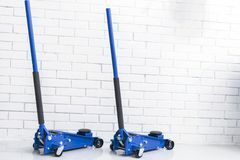 Hydraulic car floor jacks. Car Lift. 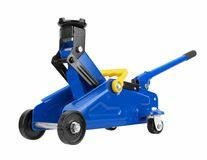 Blue Hydraulic Floor Jack For car Repairing. Extra safety measures. Car service station. 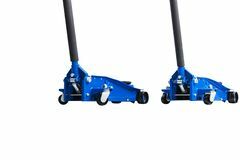 Hydraulic car floor jacks. Car Small dog looks out of the car window - jack russell terrier. 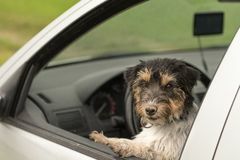 Small dog is sitting in a car and looking out of the car window - jack russell terrier 2 years old Small dog looks out of the car window - jack russell terrier. 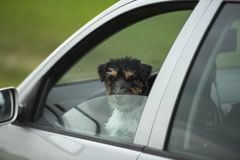 Small dog is sitting in a car and looking out of the car window - jack russell terrier 2 years old Small dog looks out of the car window - jack russell terrier. 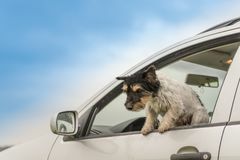 Small dog is sitting in a car and looking out of the car window - jack russell terrier 2 years old Manual scissor car jack, isolated on a white background with a clipping path. 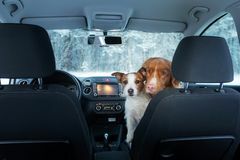 Manual scissor car jack, isolated on a white background with a clipping path Two cute dogs in the car on the seat look. A trip with a pet. Nova Scotia Duck Tolling Retriever and a Jack Russell Terrier. 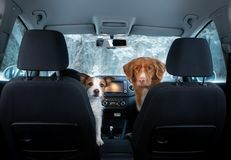 Travel in winter Two cute dogs in the car on the seat look. A trip with a pet. Nova Scotia Duck Tolling Retriever and a Jack Russell Terrier. 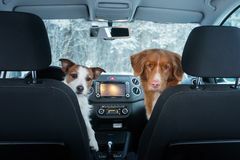 Travel in winter Two cute dogs in the car on the seat look. A trip with a pet. Nova Scotia Duck Tolling Retriever and a Jack Russell Terrier. 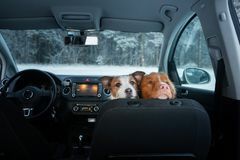 Travel in winter Two cute dogs in the car on the seat look. A trip with a pet. Nova Scotia Duck Tolling Retriever and a Jack Russell Terrier. 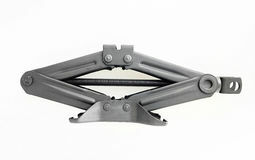 Travel in winter Car jack handle. 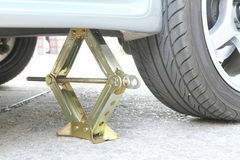 A big metal car jack isolated over a white background Winter tire fitting on the street. Wheel service, Tire repair, and changing summer to winter tires. Black car lifted on jack. Summer tires in winter. 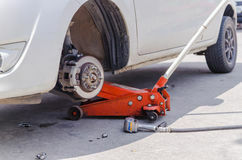 Orange The car lifted by a pneumatic jack, wheel replacement. 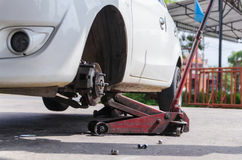 The car lifted by a pneumatic jack, wheel replacement. 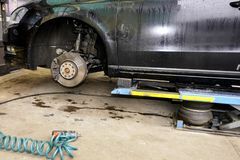 The car lifted by a pneumatic jack, wheel replacement. 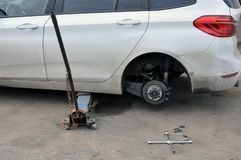 The car lifted by a pneumatic jack, wheel replacement. 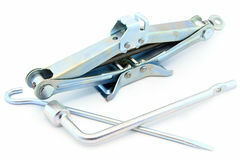 Manual scissor car jack and car tow rope, isolated on a white background with a clipping path. 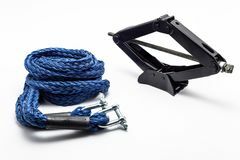 Manual scissor car jack and car tow rope, isolated on a white Spare car tire on steel, red rim and manual scissor car jack, isolated on a white background with a clipping path. 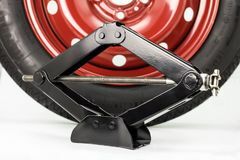 Spare car tire on steel, red rim and manual Manual scissor car jack, isolated on a white background with a clipping path. 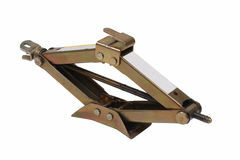 Manual scissor car jack, isolated on a white background with a clipping path Old car jack by tree. Old car jack leaning on the base of a moss covered tree with other metal objects in the background Old car jack by tree. Old car jack leaning on the base of a moss covered tree with a metal rod in the background Replacing the rear wheel of the car. The car is mounted on the Jack. On the road lie screws, tool and wheel. Replacing the rear wheel of the car. 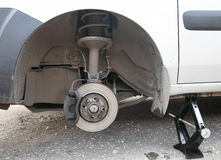 The car is Replacing the rear wheel of the car. The car is mounted on the Jack. On the road lie screws, tool and wheel. Replacing the rear wheel of the car. 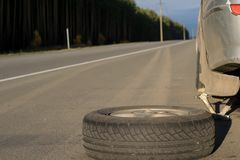 The car is Spare wheel lying near the car. The car is mounted on the Jack. 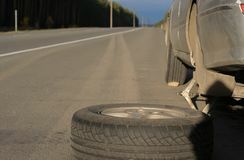 View asphalt road at sunset Spare wheel lying near the car. The car is mounted on the Jack. View asphalt road at sunset The car costs without a wheel on a jack during repair. Car repair. 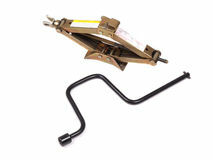 The car costs without a wheel on a jack during repair Portable car scissor jack on white background. 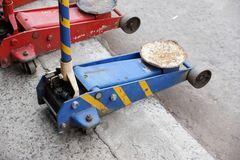 For vehicle and transportation concept Hydraulic car floor jacks. Car Lift. 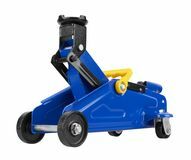 Blue Hydraulic Floor Jack For car Repairing. Extra safety measures. 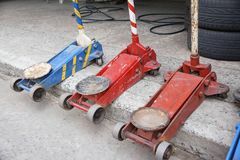 Hydraulic car floor jacks. Car Lift. 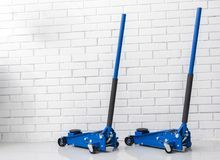 Blue Hydraulic Floor Jack For car Repairing. Extra safety measures. 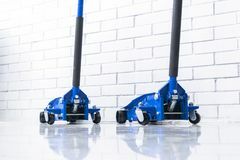 Hydraulic car floor jacks. 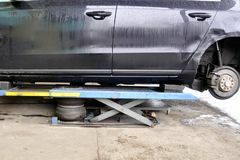 Car Lift. 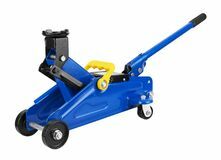 Blue Hydraulic Floor Jack For car Repairing. Extra safety measures.